Hi All! I am feeling rather deceptive posting a summery dress while it’s raining outside. I swear the weather was +20 degrees two days ago. This is a re-mix outfit from my post is July. 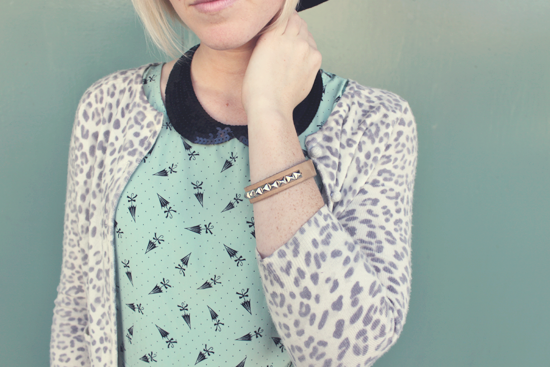 I’ve added a peter pan collar necklace, leopard print cardigan and floppy hat. I’ve always wanted one of these floppy hats but frankly, didn’t think I could pull it off. I always envision the models from Free People magazines wearing them with their beautiful long mermaid hair streaming out. Alas, I traded some old clothes at Freestyle and picked up this hat for the credit. I am taking a liking to it. This cardigan has been with me for many years. Just a cheapy find from Forever21. I think all 8 of my college room mates took a turn wearing it out for a night on the town. It’s definitely been around the block a time or two. If you are looking to add a fun detachable collar to adorn a shirt or dress check out this, this and this. I asked my boyfriend to photograph this outfit for me. Before we did, he asked why I chose to mix an umbrella pattern with leopard print. I really didn’t have any answers. Sometimes putting together a decent outfit has no logic. When I am throwing on outfits in the morning it’s purely all based on intuition. The combination could work out perfectly or crash miserably. Most times I just hope for the best and go with my gut. What do you guys think of mixing patterns? Are there any pattern matching no-no’s? Unconventional sure…but incredibly adorable! 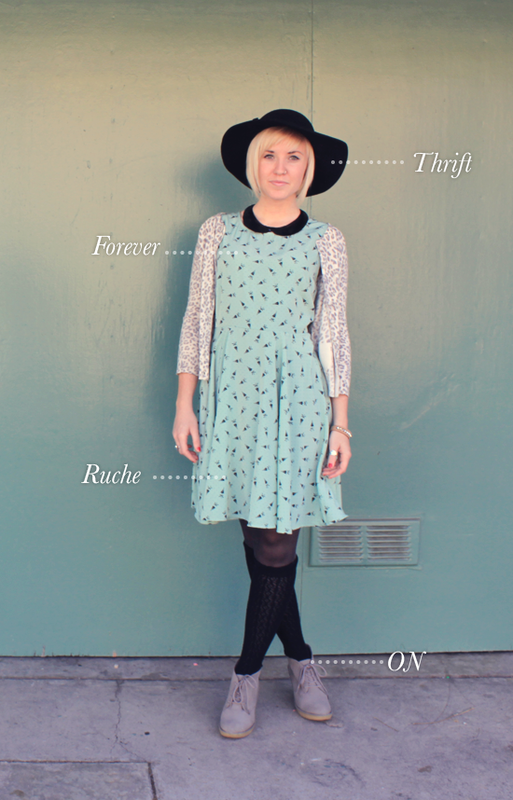 =) Love how you styled yourself! cute mix, I love it. I love this, it’s the meaning of picture perfect.. Super cute!! 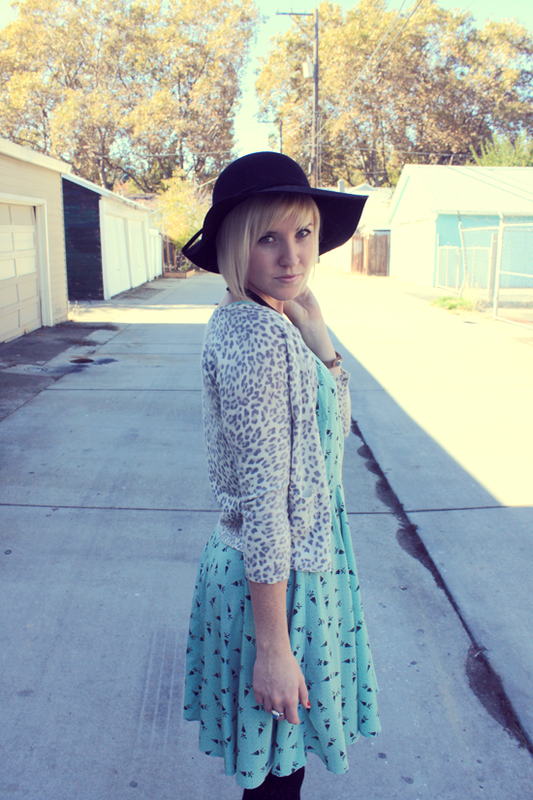 OMG your dress is darling and you have the cutest style. i love it all! Awww so nice, I love how you mixed patterns!! Love it! this dress is amazing! love your style! I just followed you on GFC, Thank you!! You look gorgeous. Your shoes and cardi are killer. Thanks for reading my blog. Glad it led me to follow you! I really like it! You put it all together so well. Also, that hat is a thrift find?….win. I love your blog! I especially love how you mix unexpected patterns. I’m such a fan of that, and you look great! So cute and quirky! Love it! I’m hosting a giveaway today, I’d love for you to stop by! I love mixing patterns! I love how all the fashion rules are out the window and now we can wear whatever we want! This outfit is so cute. I especially love the socks. So cozy. Cute pattern mix! Love the look, fun and unique! 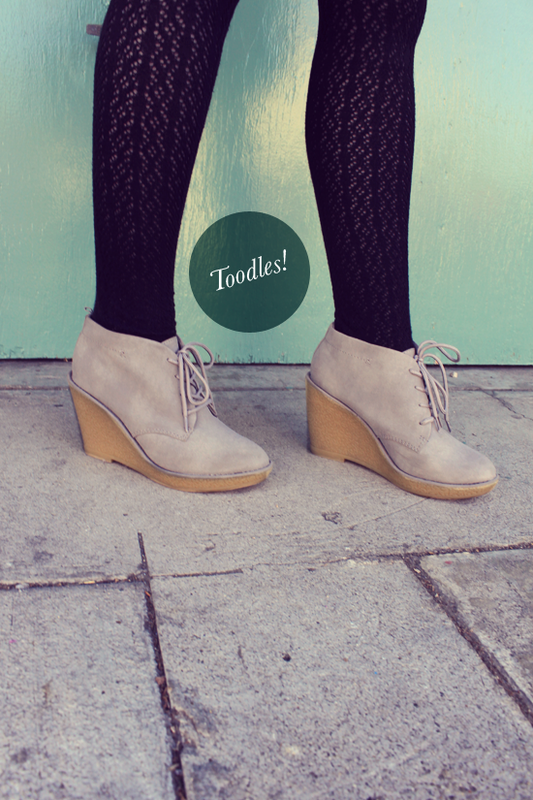 I did a pattern mix on my blog today too! Thanks for stopping by my blog! You’re blog’s layout/design is amazing! Nice work! Your style is fun and quirky too! Oh I am a firm believer in mixing patterns! My husband always just laughs when I over do it, but still tells me I look cute or adorable… So I still figure it is ok! Neddless to say, I love the mixed patterns among other things about this outfit. And you totally pulled off the floppy hat! Thanks for visiting my blog! I love yours! Adding you on bloglovin now! So cool. 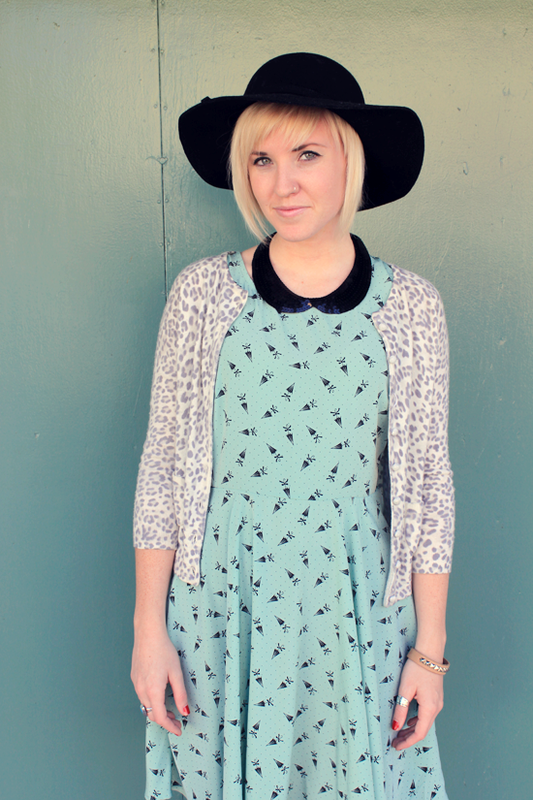 I love pattern mixing…this is definitely not something I’d think of but it’s super cute. I love floppy hats too. I bought one this summer but didn’t get much of a chance to wear it, but this outfit gives me inspiration for it in fall! You are rocking the hat!